Thanks to everyone who came to see me speak at last weekend’s WordCamp Boulder 2010 event. They packed the room (standing room only out in the halls) for my Search Engine Optimization talk about Word Press sites. The session was recorded on video, but it’s not yet uploaded to their site. I’ll send out a link when it’s ready. This week’s Web Marketing Tip focuses around eBooks. If you have interesting content, you may want to consider publishing in an eBook-friendly format to reach new customers for your business or organization. Rabbi Jamie Korngold, the Adventure Rabbi, reading a passage from her forthcoming book, God Envy: A Rabbi's Confession (Jewish Lights Publishing, 2011). Free eBooks to reach new customers. I wanted a new, novel way to reach out to new customers. Every week I write an eLearning column like this one, and over time, I’ve amassed a significant amount of content. I know that not everyone has the time or desire to go to the www.CustomerParadigm.com website to read each article, and so I bundled two of the main topics into eBooks that people can download onto their eBook Reader. I have an iPad (as I’ve written about before), and it’s such an amazing way to interact with content. Especially with free content. I’ve tried out a number of free books, only to then buy titles from the same author in the iTunes store. Reaching an elite audience. 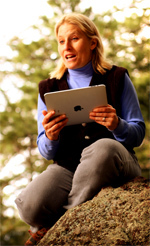 At the beginning of 2010, there were 2.1 million US adults who owned electronic book readers. With more than 3 million iPads sold since then, the number has more than doubled in the first half of 2010. eBook owners (Kindle, iPad, eReader and more) are 87% more likely to have a household income of $100,000 or higher annually, and 111% more likely to have obtained a Bachelor’s or post-graduate degree. Using a basic Word document, strip out virtually all formatting, including page numbers and other information. Paste in your content, and organize it using one basic font. Create a book cover, using a 600 x 900 pixel sized graphic (vertical orientation). Use software to convert the Word document into the following formats: ePub, TXT, PDF, RTF, MOBI, LRF. Use an online publisher to submit the book to content providers. Book Review. Review by: Robert A. Boyd on Jul. 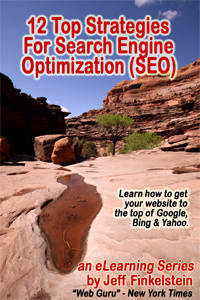 13, 2010: This article gave me a compact and concise outline of how search engines work, and how to take advantage of their features. It is clear that the author knows his stuff, and is willing to share it freely. As a Smashwords author concerned with promoting my own works, this is just the sort of thing I need. I strongly recommend it. Download the .ePub file by clicking on the link above. Summary. 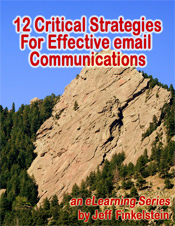 A few days ago, I uploaded my first eBook, 12 Strategies for Effective Email.It’s now been downloaded 74 times, reaching a new audience of readers in a permission-based way. I hope you found this case study helpful – please let me know if you’d like help with your online marketing or eBook Publication.